Car won't start? Got a flat tyre? Being stranded at the roadside can be hazardous to you and to other drivers. We know you need help fast. Call Roadside Assistance Watsonia hotline and we'll be there for you, fast. We have Special Recovery Vehicles to deal with that more difficult situation. Whatever your vehicle, car, truck, trailer or caravan, we're there to help, wherever you're stuck, we're there to help you to get moving. 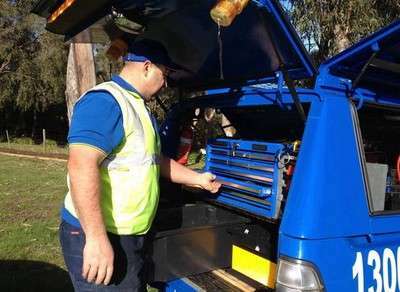 Roadside Assistance Watsonia offers 24 hour, 7 days a week and 365 days a year for all your vehicles including Cars, Trucks, Caravans, and Trailers. No job is too hard or too difficult to access. Our breakdown service vehicles are mobile workshops that can get you going again. Emergency roadside assistance is always available to assist you when you have broken down,need a new battery or require the services of a fully qualified Auto Electrician. Roadside Assistance is on a "pay-as-you-go" basis. If you don't need us, you don't pay! Whenever you need emergency roadside assistance, call Roadside Assistance Watsonia. When you have a car breakdown or you are locked out,out of fuel or need a wheel change you will need Roadside Assistance to get you going again. Emergency repairs can often be managed at your vehicle's location as roadside assistance is our speciality. You may need a jumpstart to start your car. A flat battery may require replacement that is why we carry an exensive range onboard our vehicles. You may have locked yourself out of your car we specialise in getting into all types of vehicles. A flat tyre can be replaced with your spare.If you do not have a spare onboard we carry emergency repair kits and also we have air onboard. Quick and efficient service at a fair price just $90.00 a Callout Pay as You GO!!!! Or become a Member from $85.00 a year.